The sweet strains of traditional mountain music still drift on the summer breezes of the Appalachians, reflecting off the hills and flowing through the valleys. But before Appalachian mountain music was first preserved on wax discs — as the arid winds of the Dust Bowl blew and the soup lines of the Great Depression grew — the musicians played on handmade fiddles, dulcimers, zithers and mandolins, and heard with the hearts of generations. 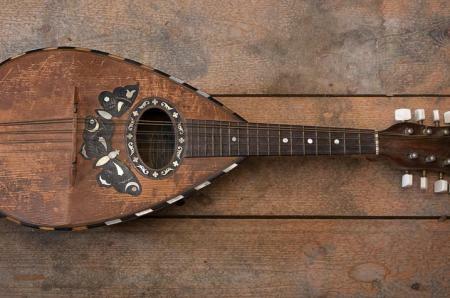 Until the mid-19th century, the vast majority of musical instruments responsible for the sound of mountain music — dulcimers, guitars, violins or fiddles, banjoes, zithers and mandolins — were handmade and passed down from one generation to the next. The tunes and musical traditions were the inheritance of a melding of English, Welsh, Irish and Scottish ballads with the customs of Germany, Eastern Europe and the Near East, and influenced later by African-American blues. Over the decades, the sound, accompanied by traditional mountain musical instruments, eventually morphed into bluegrass and country music. Not many today appreciate the reverence mountain families continue to pay their music or the care and precision required of the skilled craftspeople who still create musical instruments by hand. But one young University of Kentucky doctoral student of cultural anthropology who also teaches in the UK Appalachian Studies Program, Jasper Waugh-Quasebarth, has made it his mission to study those who still scour lumberyards and mountaintops for just the right wood to craft traditional Appalachian musical instruments by hand. 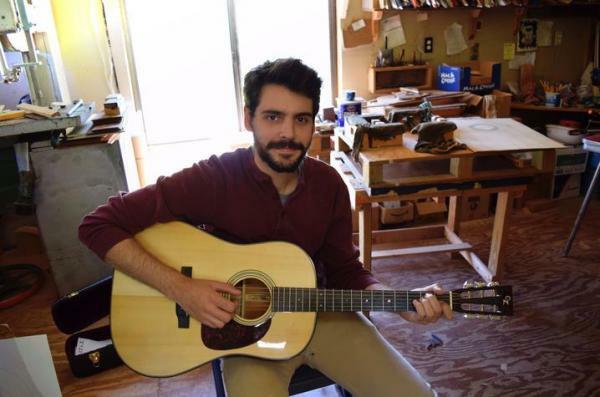 He was awarded an $18,000 Wenner-Gren Foundation Dissertation Fieldwork Grant for his dissertation research on "Musical Instrument Makers, Appalachian Forests, and the Re-enchantment of Livelihood and Material in West Virginia." Anthropology doctoral student Jasper Waugh-Quasebarth is researching craftspeople who create handmade Appalachian musical instruments. The young researcher has become nearly as enamored with the wide variety of trees in West Virginia’s forests as in the region’s handmade musical instruments. “There is a wide variety of species of trees and each individual tree produces woods with different properties that enhance the skilled laborer’s final product,” he said. 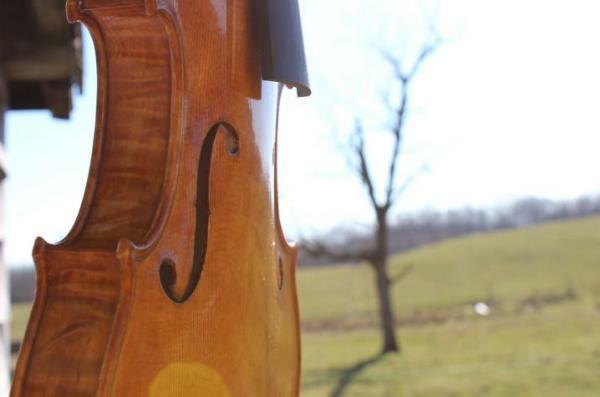 The varnish on a new violin "cures" in the sunlight. When a skilled craftsperson works with correctly seasoned wood, “it’s magical,” said Waugh-Quasebarth. “One influences the other in the pursuit of creating a successful ‘singing’ instrument. “Makers of musical instruments often speak of successful instruments as though they are living, cohabitating beings. 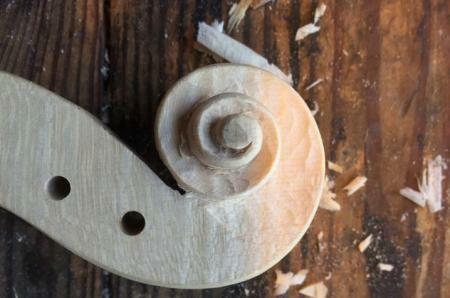 The crafter, the specific species of tree, the cured wood of that tree, and the musical instrument produced are entwined, inseparable,” he said. He said he hopes his study “contributes to anthropological conversations about the re-enchantment of relationships between humans, materials and environment in productive contexts." Waugh-Quasebarth has become deeply involved in this magical creative process, from hillside to wood mill to curing shed to workshop. Indeed, he has apprenticed himself to the process. The result is a deep sensitivity to the threat the precious creative process faces as one hillside after another is cleared and extracted for commercial lumber, commodities for a global market of wood products, commodities for an economy at a crossroads. To hear documentary sound recordings of Depression-era rural Kentucky music and lore, visit The Lomax Kentucky Recordings, a collaborative project from the Association for Cultural Equity, Berea College, Library of Congress and University of Kentucky.